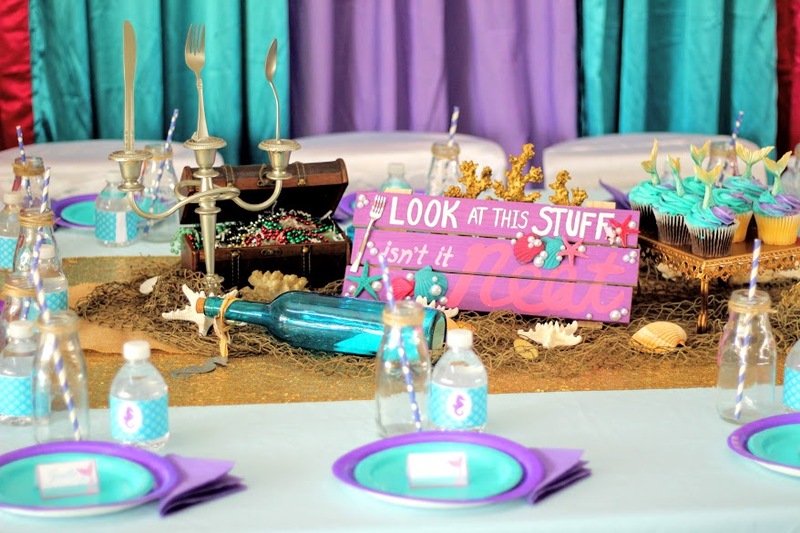 All little girls love mermaids and it makes an adorable party theme too. 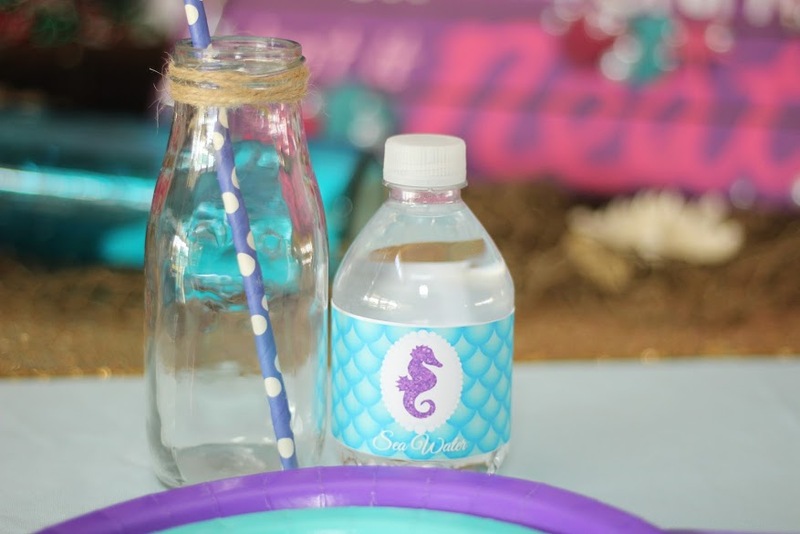 Here’s a few of my favorite mermaid birthday party ideas. 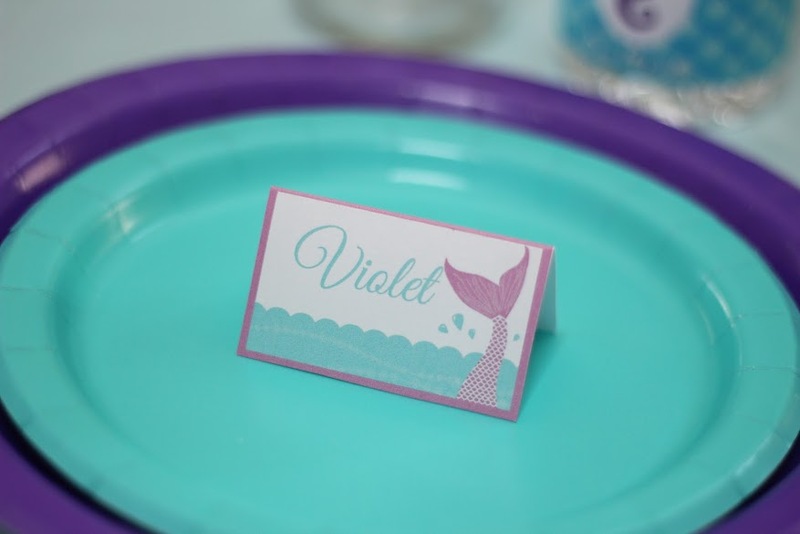 Don’t forget to download the free mermaid party printables at the end of the post. Mermaid colors are so fun! 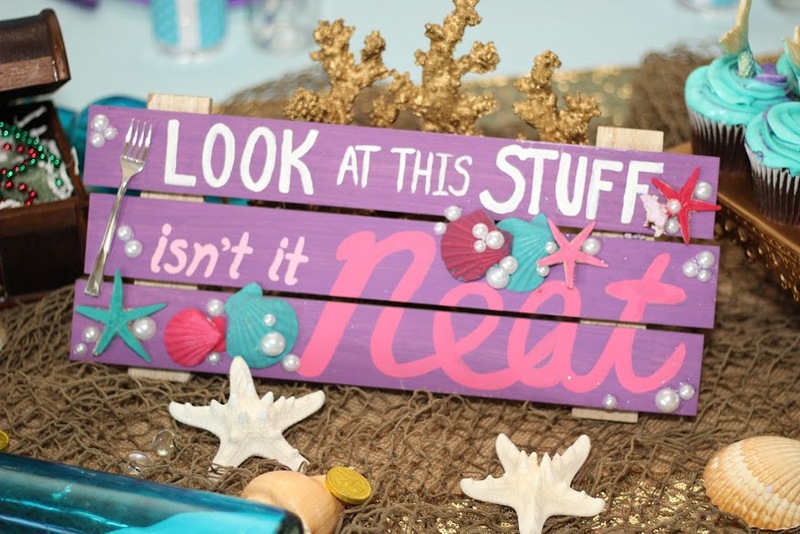 Pinks, teals, purples and golds make for a gorgeous color palette for your under the sea bash. I love mixing sequin textures with burlap and fishing net to give it a girly, yet ocean vibe. An easy way to add extra color dimension to the tablescape is to add two sizes and complimenting colors of plates. 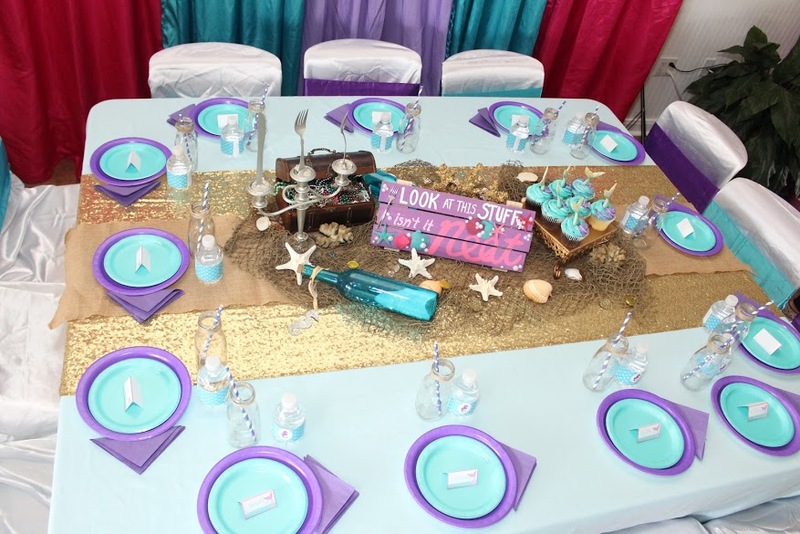 For this specific table, we included seashells and colored flat marbles too for a little extra sparkle. This sign is made from a blank wood panel at Hobby Lobby (purchased for 40% off). I sketched out the wording and painted it by handle. The fork is a plastic sample fork from the Dollar Tree and I added some pearls and painted shells/starfish as well. The candelabra is a thrift store find for $5, along with the extra silver wear. The whole thing has had a few layers of silver spray paint to keep it looking fresh for each party. Food is a fun and easy way to add creativity to any party. 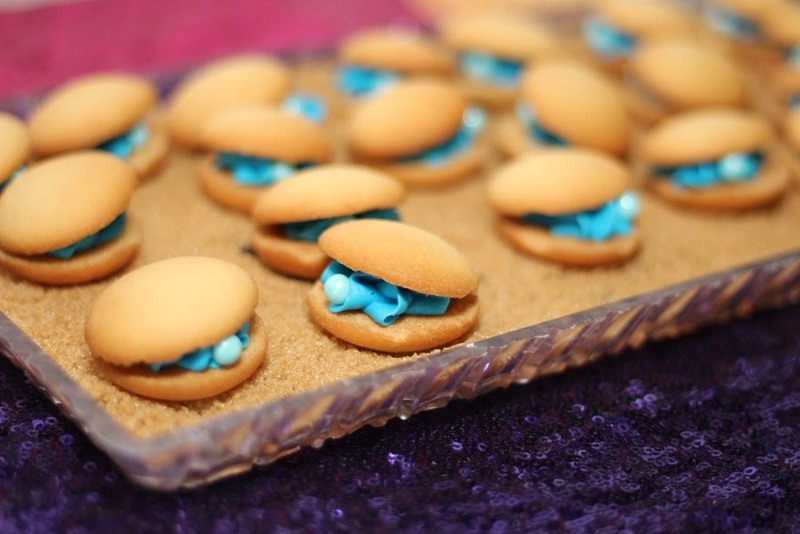 For all mermaid parties we make signature ‘clam’ cookies which are wafer cookies with icing center and a candy pearl inside. 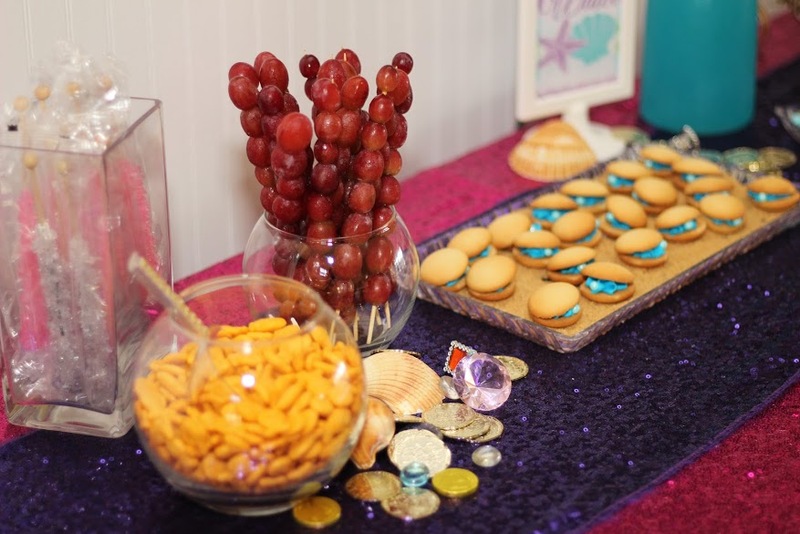 Some other easy food items are Goldfish crackers, Ocean Water (from blue Hawaiian Punch), grape fruit skewers and rock candy as ‘coral’. 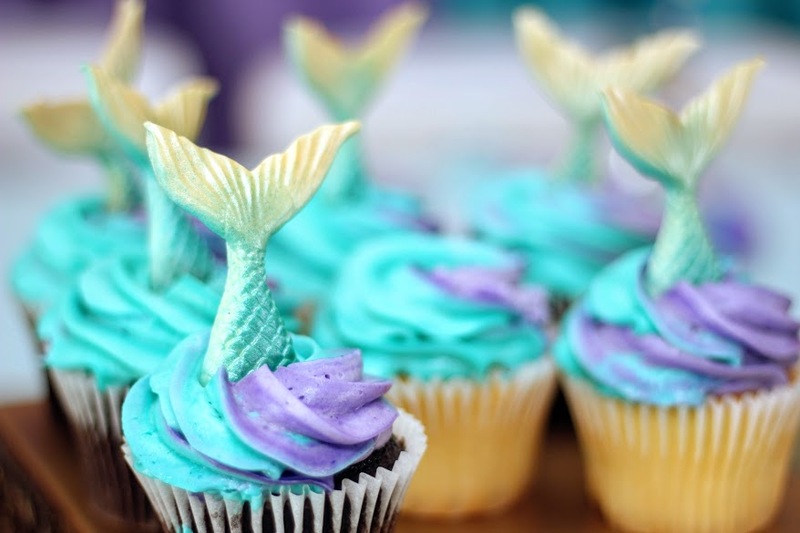 Mermaid cupcakes are also super easy to make with these mermaid tail chocolate molds. 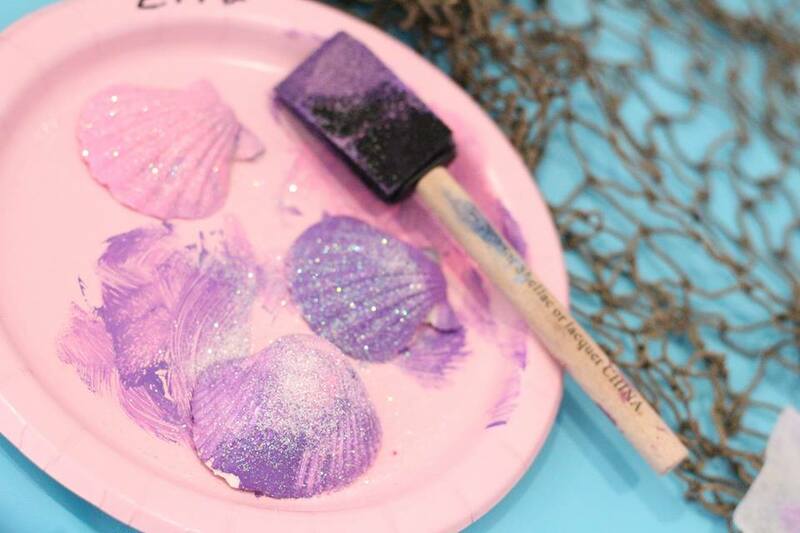 There are so many fun activities for a mermaid birthday party. Painting seashells is an easy and cheap craft. The shells can be found at the Dollar Tree along with big packs of brushes and paint. We always add a bit of glitter too for some extra sparkle. 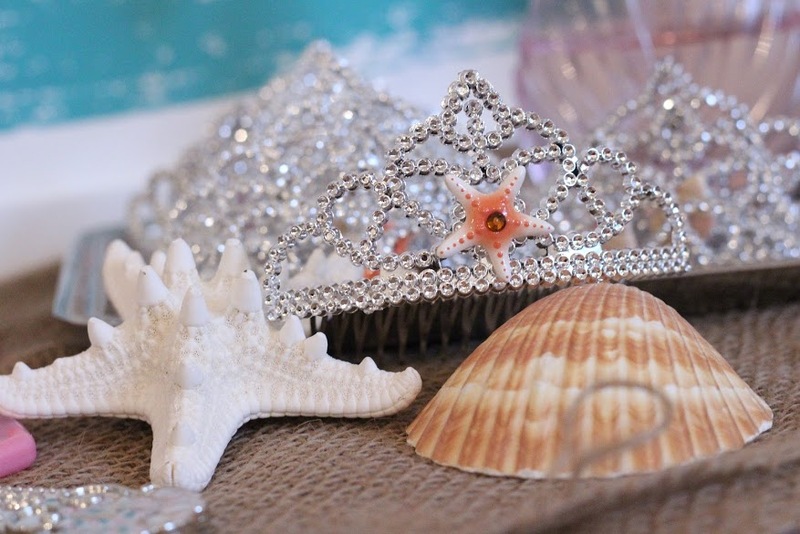 You can add little shells or starfish to plastic tiaras for mermaid crowns. Mermaid manicures are always a hit with ocean themed colors. Lastly, check out this makeup tutorial to offer your guests ‘mermaid scale’ make-up. 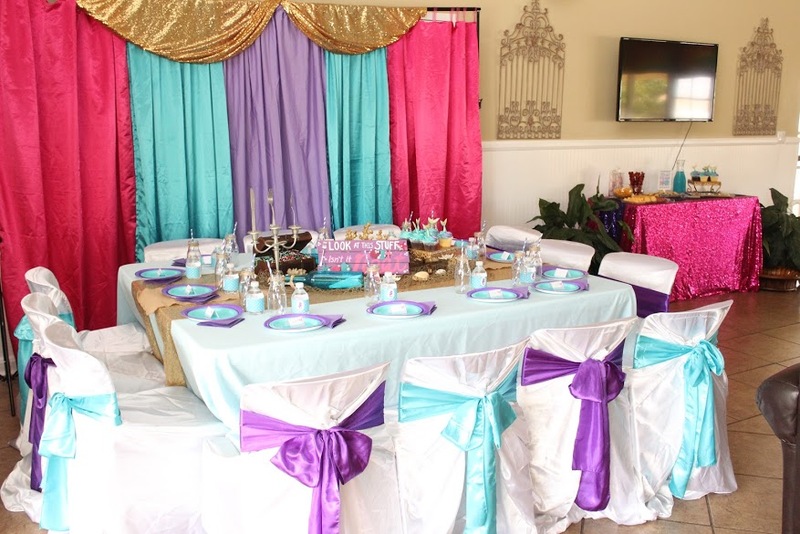 Customized printables put the perfect unique touch on any birthday party. 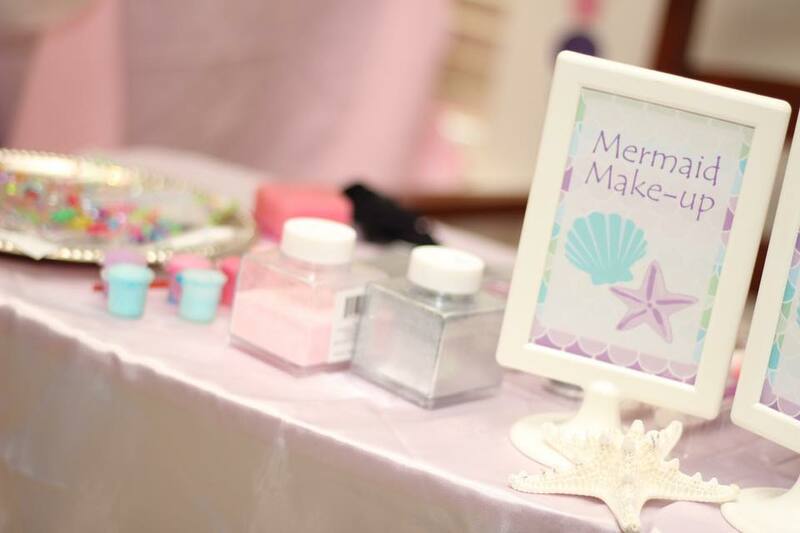 These water bottle labels, blank name cards, “Mermaid Make-up” sign, Mermaid Manicure” sign and “Mermaid Kisses Starfish Wishes” sign.